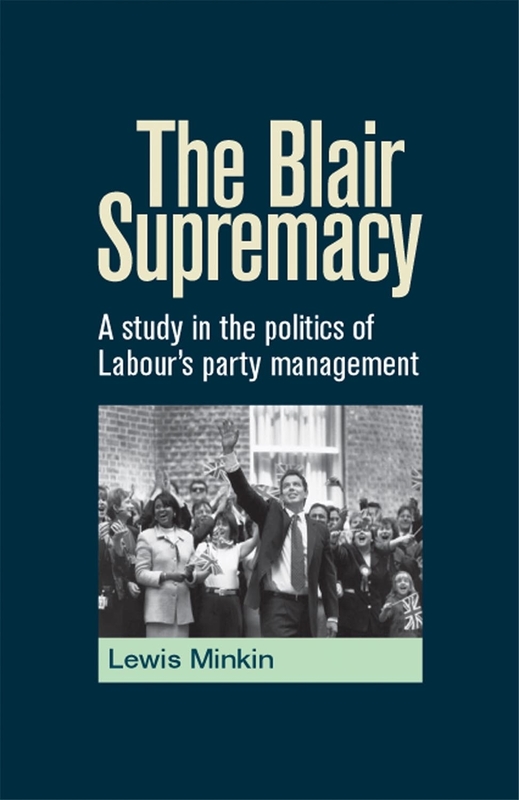 My favourite Manchester University Press book of recent years has to be Lewis Minkin’s masterful discussion of the manipulation of Labour party organisation in the Blair years, The Blair Supremacy. The book weighs in at a colossal 816 pages, 357,000 words, but I can boldly affirm that not a single word is wasted. 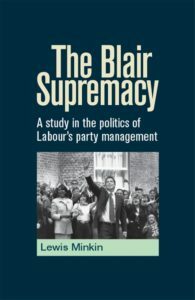 It follows in the tradition of Lewis’s other seminal works on the Labour party, The Labour Party conference (MUP, 1980) and The Contentious Alliance (Edinburgh University Press, 1991) about Labour’s fractured relationship with the trade unions. In the words of one reviewer, Lewis “knows where the bodies are buried”. He systematically and scrupulously analyses the way that every part of the party structure and machinery was adapted and made subservient to the will of the Leader, which Minkin in sinister fashion spells throughout with a capital L, allowing wholesale and dramatic changes to take place in the policy direction of the party which led to a great many successes, including an unprecedented three successive electoral victories, albeit with reduced margins each time, as well as Sure Start, the New Deal, the introduction of the minimum wage, devolution of power to Scottish and Welsh Assemblies, increased NHS funding and reduction in inpatient waiting lists. And also to a number of abject failures, including leading the country into a misguided war in Iraq and arguably failing to provide or even have any interest in a succession plan which resulted in the party entering a long, barren period of disarray which has allowed the Conservatives, who looked more or less finished ten years ago, to once again assume their role as the natural party of government and begin again to wreak havoc with and heap misery on the lives of hundreds of thousands of ordinary people. Among the changes made was the controversial removal of Clause IV from the Party constitution. Lewis describes this as a heavily symbolic gesture to separate the aims of Blair’s party from Labour’s past. The aim of the clause was to “secure for the workers by hand or by brain the full fruits of their industry” and committed the Party to that most anti-Blairite of aims, the common ownership of the means of Production, Distribution and Exchange. Not surprisingly this aim met with stubborn resistance from the unions and the left of the party, and its successful push through the party machinery involved an appearance of much discussion and debate, while the real decisions and drafting of the new clause were in effect kept to a number of very close, supportive acolytes. This is a book that everyone who has any interest at all in British politics has to read. Shortly before it came out, someone seeking it out on the MUP stand at the PSA Conference in 2014 told me that it would change the way politics is written about and studied for the next generation. It is a classic case of internal party manipulation and the enforcing of the will of one small group of people on both a political party, a country and the wider world, and points to why ultimately the rolling coup failed to endure and has left the Labour party in an awful position, facing up to a generation of failure and possibly eternal ruin. 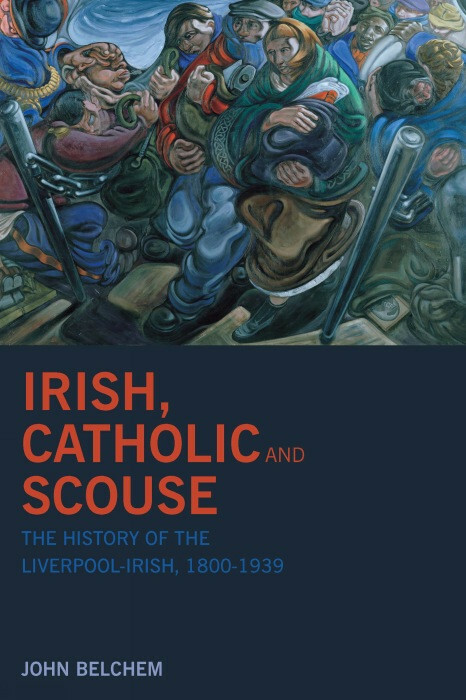 From other University Presses, despite the temptation to choose Les Back’s excellent Academic Diary (Goldsmiths University Press) from 2016, I have to go back a few years to pick out an old favourite of mine, John Belchem’s superbly written Irish, Catholic and Scouse (Liverpool University Press, 2007). This is a 330-page book that is so engaging that I more or less read it in one sitting. 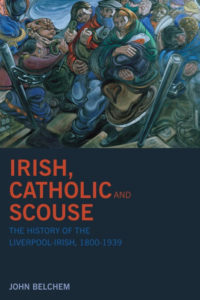 In the pre-multicultural worlds of 19th and early 20th century Britain, the Irish were the most significant ethnic group in the country, and the largest population of Irish people were based in Liverpool. Belchem brings these people and their day-to-day existences to life. The poverty in which they often lived, the discrimination they faced, the jobs they did, their involvement with the mother country, their religious beliefs, their social activities including sport, clubs and theatre, and their involvement in the First World War are all expertly analysed, and the way in which this community was pilloried and victimised by the authorities and the media of the time has enormous resonance with things that are happening in today’s dangerous political environment, where the media have once again whipped up strong anti-immigrant feeling among large sections of the population. University Presses have a duty to provide an outlet for high level scholarship. What is really great about these two books is that they provide that in an accessible and readable style. Category: Blog, Irish Studies, Politics, Publishing industry	0 Comments.